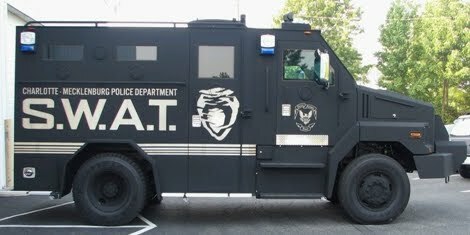 Turns out Tampa isn't the only 2012 convention host city whose police have big armored vehicles. Charlotte-Mecklenburg Police has two of them. Neither the Dragoon nor the BEAR (see photo) looks as tank-like as Tampa's Rescue 2. And neither of the wheeled CMPD vehicles is amphibious -- Rescue 2 is that, too. But make no mistake: The CMPD has a pair of mean-looking machines. BEAR (short for Balistic Engineered Armored Response & Rescue) is an armored personnel carrier. It was was purchased back in 2006 for $305,000 through the Urban Area Security Initiative, said CMPD spokesman Rob Tufano. CMPD has had the Dragoon since 2000 -- the force got it free through the Law Enforcement Services program. It was capable of being amphibious when it was new, but not now. It's mostly used these days for high threat situations, as a back-up to the more modern BEAR. Tampa's Rescue 2 recently rumbled over to an Occupy Tampa protest, according to Yahoo News. That was seen by some as a possible dry run to next year's Republican National Convention, which is expected to draw a lot of protesters to Tampa. Those planning the 2012 Democratic National Convention in Charlotte are expecting quite a few protesters to show up here, too. Is it possible CMPD's two armored vehicles will be used during convention week next September? Tufano sent the CMPD's standard statement, which doesn't answer our question. The statement: "The goal of the Charlotte-Mecklenburg Police Department is to develop a seamless security plan that will create a secure environment for the community and event participants. There is a tremendous amount of advance planning and coordination in the areas of venue security, air space security, training, communications and credentialing. The means, methods and specific resources to carry out protective responsibilities will not be discussed publicly in advance, but the CMPD and our partners will work to ensure a safe environment." 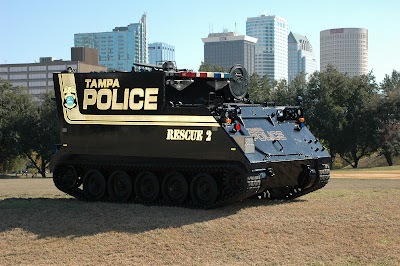 Tampa's "Rescue 2" could be utilized during the 2012 Republican National Convention. Last month, Tampa police dropped eavesdropping drones from its shopping list for next year's Republican National Convention. But the city's finest will have a tank - or what looks like one. "Rescue 2" is its name, and it's officially an amphibious rescue vehicle. But, according to a report on Yahoo News, the city's Tactical Response Team rolled it over to the Occupy Tampa protest earlier this month. According to the city's Web site, this armored personnel carrier is bullet-proof, weighs 12 tons, can hit 60 mph on dry pavement, can go through five feet of water and withstand winds of up to 130 miles per hour. "It is virtually unstoppable," the Web site says, adding that it was purchased from the military with a federal security grant. In case you were wondering, there is also a "Rescue 1," which looks more truck-like. Both vehicles were actually designed to transport people, and search and rescue during a natural disaster or terrorist attack. Still, they look menacing enough that any protester might think twice before going up against either. And what about Charlotte, host of the 2012 Democratic National Convention? Is it similarly equipped? That's the question we put to CMPD spokesman Rob Tufano. His answer: "We have no such vehicle." For more on Tampa’s “Rescue 1” and “Rescue 2. For decades, national political conventions have been mostly scripted pep rallies, with little in the way of real news. That’s why the TV networks have stopped covering them live. So what would it take next year to make Charlotte’s show – the 2012 Democratic National Convention – that rare exception: a TV-worthy convention? Here are 5 possibilities. We’re not saying they will happen. But they could. Clearly, President Barack Obama needs to do something to energize his re-election campaign. If his poll numbers keep sliding, the convention in Charlotte could be more wake than party. One solution that some Democrats have fantasized about: Obama makes a switcheroo, announcing that Vice President Joe Biden will be his new Secretary of State and Hillary Clinton, now the country’s chief diplomat, is his choice to be his 2012 running mate. Biden, who used to chair the Senate Foreign Relations Committee and is on a first-name basis with many foreign heads of state, would get to end his career on a distinguished, globe-trotting note. Clinton would get a head-start on her 2016 run for president. And Obama would recapture some of the excitement that fueled his historic 2008 campaign. “Barrack & Hillary” – it definitely has a TV show sound to it. 2. Preemptive GOP move: Burr for veep. Meeting in Tampa the week before the Democrats gather in Charlotte, the Republicans up the ante in the battle to win North Carolina’s 15 electoral votes. They do it by nominating Richard Burr, the Tar Heel State’s senior senator, for vice president. Not since the hanging chads of 2000 put Florida in the international spotlight has a purple state gotten so much attention, as even the TV networks turn their attention to North Carolina. Pre-empting their cheesy reality shows, the networks go live to this ultimate swing state, doing man- and woman-in-the-street interviews with every voter from Murphy to Manteo. 3. A bipartisan TV moment. During most national political conventions, a parade of senators and House members go to the podium and give speeches that are forgotten before they leave the stage. But in September 2012, the one member of Congress still considered a courageous public servant is given a prime-time spot. U.S. Rep. Gabby Giffords, D-Ariz., who has made a remarkable recovery since the shooting that nearly ended her life, does not speak about politics. Her message is bipartisan, as are the tears shed all over the country at her call for Americans to stop fighting among themselves and come together for the greater good. 4. A third party. And a fourth. Just as they did during the Republican convention in Tampa, two other presidential candidates – and their dedicated followers – converge on Charlotte during the Democrats’ meeting. And once again, they steal away some of the major parties’ monopoly on news coverage by staging their own debate, this time under the stars at Freedom Park – a venue named for a worthy idea, as opposed to Bank of America Stadium, where rumor has it President Obama will give his acceptance speech. The two debaters: From the right, U.S. Rep. Ron Paul of Texas, 2012 nominee of the Libertarian Party. And from the left: A real Socialist, U.S. Sen. Bernie Sanders of Vermont. 5. Occupy Time Warner Cable Arena. In hopes of keeping the TV cameras inside the convention instead of outside on Charlotte’s streets, the Democrats invite a young, scruffy-looking Occupy Wall Street rep to address the delegates in prime time. Some pundits suggest the Democrats are merely taking a page from the Republicans, who let an angry Tea Partier dressed in Revolutionary War garb address their delegates. Details are still sketchy, but a major celebrity bash looks to be in the works for Charlotte the night of Sept. 5. That’s when ONE, the global anti-poverty organization founded by rocker-activist Bono, will join with Politico, the favorite Web site for political junkies, to co-host a star-studded event. ONE and Politico will also co-host in Tampa during the Republican National Convention. A replica of the famous rocking chair favored by President John F. Kennedy. It's a gift from Troutman Chairs, maker of the original. Among the items adorning the museum-like office of DNCC CEO Steve Kerrigan are jerseys from the Charlotte Knights and Charlotte Bobcats (each with "Kerrigan" on the back); memorabilia from Obama's 2009 inauguration (which Kerrigan planned), including a "Horse Manure Only" sign that had been planted on the inaugural grounds; and the reading copy of President-elect Kennedy's January 1961 speech, complete with handwritten notes, to the Massachusetts legislature - a gift from Kerrigan's former boss, U.S. Sen. Ted Kennedy. To get to the DNCC offices, reporters showed up at the old Wachovia building on South Tryon Street, went through security, then took the elevator to the 13th floor. When asked about the unlucky number, Kerrigan said he was not superstitious. "I take what's first offered," he said, then added: "Do they still make buildings with 13th floors?" Years ago, when then-Mayor Pro Tem Susan Burgess first suggested hosting the Democratic convention in Charlotte, few thought it would happen. But she persisted, lobbying national party officials at every opportunity and making believers back at home. Burgess died of cancer last year. Six months later, the party announced Charlotte as the site of its 2012 convention. Today, in a corner of the Democratic National Convention Committee headquarters uptown, there is a conference room dedicated to Burgess' memory. At one end is a framed portrait. Across the room are family photos, a few of her awards and her city council name plate. Son Jason Burgess, who is finishing out her council term, saw the room on a tour of the convention offices. "We're just very honored that she's being recognized for her efforts," he said. National political conventions can be many things: Historical events, weeklong parties, even learning experiences. In fact, Winthrop University in Rock Hill is planning a political-science course for fall 2012 called "The Democratic National Convention." The course begins Aug. 6- not quite a month before Charlotte hosts the 2012 Democratic National Convention. According to the school, "the course will include traditional classroom, online and experiential instructional techniques." Offered under the aegis of the John C. West Forum on Politics and Policy (named for a former S.C. governor), the course will be open not only to Winthrop University students, but also to undergraduates at all S.C. colleges and at all Charlotte-area colleges and universities that will be part of a consortium. From January to July 2012, this "Charlotte Consortium" of colleges and universities will organize host programs involving students related to the Democratic convention in Charlotte. Convention officials are tight-lipped about how much money they’ve raised, or spent, since landing the event. But they raised a lot to get it. Tax forms show the host committee raised $311,753 in pursuit of the convention. The 990 forms don’t say where the money came from. So it’s unclear how much came from Duke Energy, whose chairman, Jim Rogers, co-chaired the effort. “We certainly participated in the effort,” said spokesman Tom Williams, who declined to say how much the company provided. Rogers has said, “The fact that we demonstrated we can raise money was one of the edges we had” in getting the convention. The report also shows the host committee spent $293,000. The biggest beneficiary? The Charlotte public relations firm Luquire, George Andrews, which got $132,500. Consultant Tom McMahon’s Washington firm was paid nearly $66,000. He was the former executive director of the Democratic National Committee. No, uptown residents won't have to move. Yes, there will be city garbage pickup during Democratic National Convention time in September. How about CATS bus or free Gold Rush service uptown? That's still a big unknown. Last week's Third Ward Neighborhood Association Meeting hosted representatives with city and law enforcement to answer what questions they can about the Democratic convention in Charlotte. Carol Jennings, the city of Charlotte's liaison to the convention, said city services will operate "business as usual" - including Wednesday garbage pickups. Those may be scheduled later in the day. Uptown residents won't have to move, although they might have to get credentials if they live in an area determined to be a "vehicle-free zone" during the convention. And what about Charlotte putting its best foot forward? The city isn't going to spend any extra money on paving, Jennings said, but will plan its typical annual street work before the event. "There are going to be some major pavings next spring," she said. Democratic convention officials hosted Democratic Party representatives from nine more states Monday, giving them a tour of Charlotte hotels and amenities. It was the second group of party officials to take the tour. Convention officials will make hotel assignments early next year. No, uptown residents won’t have to move. Yes, there will be city garbage pickup during Democratic National Convention time in September. How about CATS bus or free Gold Rush service uptown? That’s still a big unknown. Last week’s Third Ward Neighborhood Association Meeting hosted representatives with city and law enforcement to answer what questions they can about the Democratic convention in Charlotte. Carol Jennings, the City of Charlotte’s liaison to the convention, said city services will operate “business as usual” – including Wednesday garbage pickups. Those may be scheduled later in the day. Uptown residents won’t have to move, although they might have to get credentials if they live in an area determined to be a “vehicle-free zone” during the convention. The city isn’t going to spend any extra money on paving, Jennings said, but will plan its typical annual street work before the event. “There are going to be some major pavings next spring,” she said. Tampa officials are starting over after bids came in too high for security cameras for next year's Republican National Convention. According to the St. Petersburg (Fla.) Times, the city is trying to boost surveillance at an estimated 200 downtown sites. The cameras have to be up and running by June 1 for the August convention. Charlotte city officials declined to comment about security arrangements. Hotel managers in Tampa are reeling after being told to cut their rates during the GOP convention. The St. Petersburg Times reported Saturday that hoteliers were told to throw out year-old room contracts with convention organizers and sign new agreements with lower room rates. The new rates were set by a company GOP convention organizers recently hired to manage hotel room blocks for conventions. One property owner said the rate cut would mean $150,000 in lost revenue. In Charlotte, convention officials say there won't be any changes here - hotel contracts are firm, and no renegotiations are planned. Officials invested a lot of time to work through hotel agreements, said Mike Butts, executive director of Visit Charlotte. The Observer recently invited readers to send in their suggested slogans for Charlotte as the city promotes its hosting of next year's convention. Their nominees ranged from inspiring to clever to snide (but funny). "Charlotte: We put the NC in DNC" - from Mary Ann Maxson, Wesley Chapel. "Grounded in Tradition - Focused on the Future" - Ann Baldwin Greene. "Charlotte - Gateway to Global" - Mark Sitzer, Indian Trail. "Charlotte: Gateway to Gastonia" - Dan Harris, Charlotte. "Olde Grits and New Grit" and "Welcome to the Home of the New South" - Lawrence Raymer, Huntersville. "Charlotte: Banking on the Future!" - Caroline Groux Sitzer, Indian Trail. "Charlotte - We Love Socialists" - Kevin Kronk, Pineville. "Welcome Democrats to Charlotte . . . Your Southern Home." - Steve Weiner, Harrisburg. "Charlotte, North Carolina is Mint" - Jayne Mannino, Lincolnton. "New Ideas, New Start, New South" - Jeffrey Klein, Charlotte. "Charlotte: Beacon of the New South" - Jana Harston, Charlotte. "Charlotte - Treats You Royally" - Terri Hatcher, Charlotte. Presidential adviser and confidante Valerie Jarrett will give the keynote speech Wednesday at the N.C. Governor’s Conference for Women at the Charlotte Convention Center. She’s the latest in a string of visits by administration officials that underscores the electoral importance of North Carolina to President Barack Obama in 2012. Obama made a two-day bus tour of the state last week. Treasury Secretary Tim Geithner, Education Secretary Arne Duncan, and Homeland Security Secretary Janet Napolitano also have visited recently. Over 1,500 women are expected to attend the conference. Jarrett is a longtime friend of the president and his wife, Michelle. 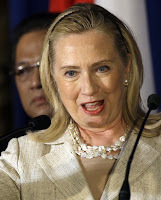 A lawyer, she once served as deputy chief of staff to former Chicago Mayor Richard M. Daley. “Valerie Jarrett, who has long been a friend of North Carolina, is the perfect speaker to address emerging issues affecting women and girls around our state, and the power that knowledge brings,” Gov. Bev Perdue said in a statement. 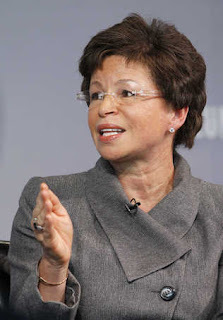 Presidential adviser and confidante Valerie Jarrett will give the keynote speech Wednesday at the N.C. Governor's Conference for Women at the Charlotte Convention Center. She's the latest of several administration officials to visit the area, underscoring the electoral importance of North Carolina to President Barack Obama in 2012. More than 1,500 women are expected to attend the conference. "Valerie Jarrett, who has long been a friend of North Carolina, is the perfect speaker to address emerging issues affecting women and girls around our state, and the power that knowledge brings," Gov. Bev Perdue said in a statement.